Giant Butcherer and Forge Bolt! • Giant Butcherer is incredibly powerful and incredibly inaccurate. 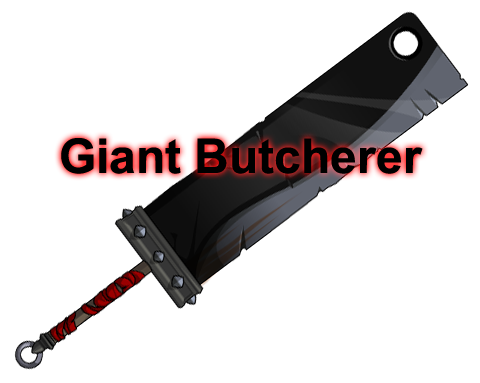 Giants tend to be strong too, so this weapon does extra damage to anything with greater than normal Strength! 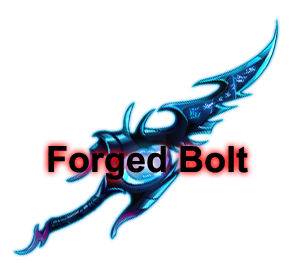 • Forge Bolt is an Energy blade that triggers on ice enemies, calling down a pillar of magical flame and forging itself into a fire blade. Hydromancer's Bloodblade will be leaving the Golden Giftboxes!